Hundreds of people flocked to the Mini-Dome to watch the performance of nationally-recognized rapper Waka Flocka Flame this past Saturday. He performed some of his biggest hits while putting on a show with a lot of energy, crowd interaction and water throwing. The crowd was visibly pleased with not only Waka Flocka’s performance but also with the opening acts as well. After going out on stage to greet VIP pass holders and answers questions, Christian rap group Seckond Chaynce took the stage and brought their very versatile style to switch up the sound. One of the members towards the end of the show even mimicked one of Lil Wayne’s early stage gimmicks and rode a bicycle on stage while rapping. A Color War followed up with a performance shorty after with remixes of songs such as Cardi B’s “Bodak Yellow,” Kendrick Lamar’s “Humble” and Lil Uzi Vert’s “XO TOUR Llif3.” A Color War did an especially good job getting the crowd loose and pumped up. Almost everyone in the venue was rapping and dancing along with each of the songs they played. After an elongated opening set due to the lack of punctuality, Waka Flocka finally took the stage. As Waka took the stage with cases of water and about a dozen other guys, the crowd reacted naturally by squeezing to about half of the size it once was, with everyone trying to get as close to Waka Flocka as possible. In between his hit songs, freestyle and covers of other songs, Waka would toss bottles of water to the crowd, who then helped Waka by covering everyone in the crowd with water. 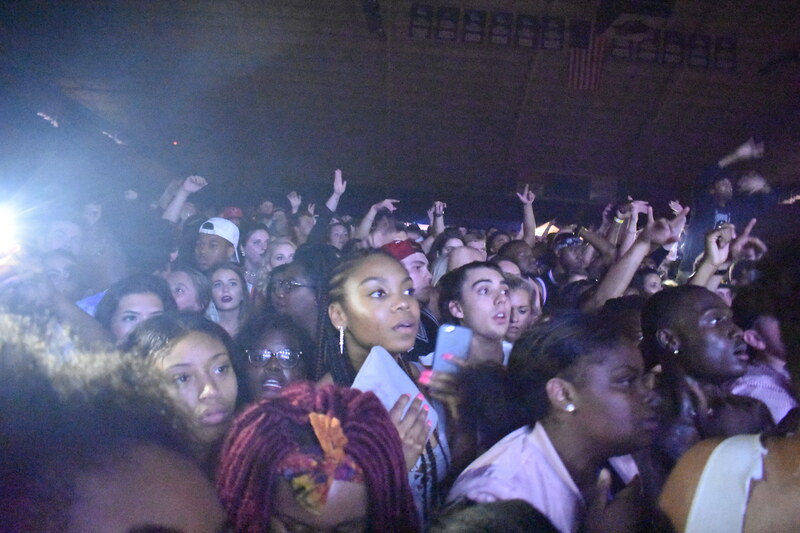 Despite his lateness, Waka Flocka Flame put on one of the best shows that ETSU has planned to this date. With a performance of such high energy level from a man as charismatic as himself, he successfully entertained those new to his music and longtime fans alike.